This summer, I’m teaching a small section of United States History to 1877. Meeting four days each week for an hour and fifteen minutes, we cover over the course of seven weeks what is typically covered in shorter meetings three days/week over a normal fifteen week semester. This is my first time doing so, and it’s forced me to rewrite and combine some plans for each day’s meeting, and in some cases, to scrap lecture material normally used. On the whole, that’s been a good thing: I’ve taken a long, hard look at what essential information about early American history I want students to learn and how best to help them do so. As a result, I find myself lecturing even less than normal and encouraging more classroom discussion, small group projects, and other forms of more active learning. It’s placed more responsibility on the students to complete their assigned reading outside of class in order to familiarize themselves with the broad narrative, and they’ve responded quite well. But there is one lecture that I refused to shorten or give up and cast aside: that devoted to religious revival and societal reform in antebellum America. I taught it just last week, and it remains one of my favorite days of each semester/term, and, based on student responses (in real time and on student evaluations at the end of the semester), is one of theirs, too. Part of the reason I love the lecture so much is because it intersects with some of my earlier research on the religious revivals of the early nineteenth century and the new religious and reform movements that grew out of those camp meetings and conversions. Part of the reason my students seems to love it, though, is because the central message of the lecture is tailored to them and their interests. I currently teach at Brigham Young University, one of the largest private religious universities in the nation, where more than 90% of the student body is Mormon. Though the students come from each of the fifty states and dozens of countries abroad, and represent a wide spectrum of personal backgrounds, they (almost) all share in common their religious faith (and those that don’t are familiar enough with Mormonism to be interested, too). They are, on the whole, very familiar with the history of Mormonism, having been taught a faith-promoting version of it since childhood (or since their own later conversion to the faith) and oftentimes, having regularly shared it with others as full-time Mormon missionaries. A discussion of religious revivals, prophets, and reformers in the early 19th century, then, almost instinctively appeals to their interests. I approach the lecture, then, with a goal of connecting with the students on that level and then challenging them to think about a historical subject with which they’re very familiar in new ways and leave with a fuller understanding of the historical contexts that shaped the individuals and events involved. The beginnings of Mormonism and its subsequent development serve as the culmination of the presentation. It begins with an overview of the religious revivals that came to be known as the Second Great Awakening. I show a clip from the good-but-not-great documentary, God in America, that effectively dramatizes the experience of revival, talk about the rapid growth of evangelical churches in the first decades of the 19th century, and the ways in which they could both challenge and solidify social norms and institutional forces. I invite the students to think about what led to the rapid expansion of the Baptist and Methodist churches, and we end up talking about religious disestablishment, aggressive proselytization, and the (inconsistently and limited) populist message they spread. We talk about their appeal to free and enslaved people of color, women, and other marginalized groups, and them attempt to situate all of that in the rapidly changing political and economic worlds of the early Republic (this lecture is preceded by a week analyzing shifting political alliances and the revolutions in transportation and communications technology, so the students are generally well-prepared to think through these issues). And then things get fun. I introduce the students to some of the more radical reformers of the era, including the Shakers, the Oneida Community, and my personal favorite, Sylvester Graham. Borrowing liberally from Adam Shpritzen’s excellent book on dietary reform and vegetarianism in the 19th century, we discuss the unique history of the Graham Cracker, and enjoy a good laugh about Sylvester Graham being horrified at the products produced under his name today (the thought of his response to learning teenage boy scouts and other campers the world over disgracing his bland whole-wheat crackers (now available in honey, cinnamon, and chocolate varieties!) intended to quell sexual urges with roasted marshmallows and sugar-infused milk chocolate is hilarious, indeed). But we ground that discussion by making connections between each of these reform-minded individuals and communities and the political and economic forces of the era that they both responded to and participated in. It is then that we shift our attention to Joseph Smith and the beginnings of Mormonism. We discuss Joseph Smith’s own attendance at revival meetings in upstate New York as a young seeker, the economic disruptions of the era that caused his family to move multiple times in search of steady work and social stability, and compare his visions with those of other evangelical seekers and self-proclaimed prophets of the day. 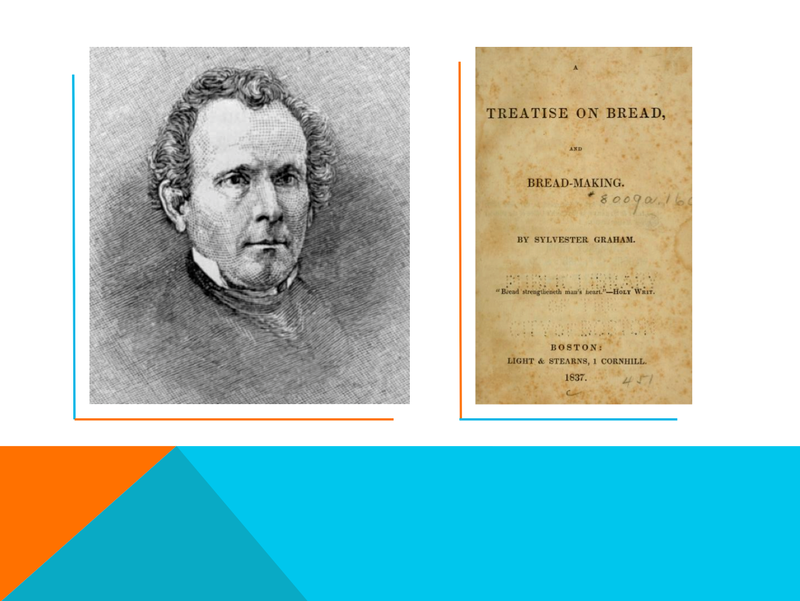 We talk about the advances in printing technology that made possible the publication of the Book of Mormon in 1830, early Mormons’ migration from New York to Ohio via the Erie Canal, and their attitudes and beliefs about the North American continent and its indigenous inhabitants. And then we shift gears and analyze the Mormon prophet’s more radical reforms: revealing a form of biblical communalism “to administer to the poor & needy;” introducing a strict dietary code that forbade the consumption of alcohol, tobacco, and hot drinks and commanded the Mormons to eat meat “sparingly” and “only in times of winter or in famine;” and, of course, the practice of polygamy. Joseph Smith and the beginnings of Mormonism, then, serve as a window looking out onto the broader religious, political, and social landscape of the early American republic. It could likely be adapted and replicated at other places, but it is particularly effective here at the Church of Jesus Christ of Latter-day Saints’ flagship school. From my end, it’s an intentional effort to make the material covered in class relevant and interesting to students, something I’ve likewise attempted to do elsewhere (the Civil War and southern identity both resonated with students at William & Mary in a way they don’t with students in Utah, for example). As summer rapidly approaches its end and instructors begin preparing for the fall semester, I’m curious about other examples of tailoring course readings, lectures, and assignments to the students at your college or university. I’ve adopted one teaching method that helped consolidate course material — finding that my students really didn’t know much about differences among Catholics, Lutherans, Quakers, I organized three class discussions (not particularly about religion in Early America), but in the style of Catholicism (lecture), Lutheran (discussion about the text), Quaker (silence, careful listening, expressing thoughts about the text). To assist in this method I also arranged the chairs differently: rows, then arcs, then gendered lines facing. A brief introduction and then a debrief important. Very successful. Wow – that sounds awesome, Annette. I might need to consider adopting this. Thanks for sharing! Thanks for this. I really enjoyed reading it. I agree that tailoring course material is important for students. It enables an emotional connection to the material. I teach at a Christian college in a deep red, bible belt state and I try to have my students wrestle with questions regarding America as a Christian nation without overtly attacking the idea.. I tailor lectures and discussions in the first three or four weeks all in preparation for a discussion centered on selections from John Fea’s book. By the time we get there, students have been forming their own thoughts and are better prepared to accept an ambiguous and complex answer. Many of them have grown up in conservative Christian homes so even the abiguity can be unsettling for them. John’s book sounds ideal for that setting. Thanks for sharing, David! This post gave me some great ideas. It’s always fun to learn what other instructors emphasize in the survey! I taught a course on New England cultural history at a private college in New England, and a highlight for many of the students was learning how 19th century New England towns shaped their own landscape to appear more authentically “colonial” and “authentic.” We looked at paintings of 19th-century NE town commons, and many students from the region began reflecting on evidence for this in their own hometowns. To be honest, the whole idea for the course itself was tailored for this sort of audience, and it didn’t disappoint. I endorse critical local/regional histories for all college students, wherever they may be. I want to take your class, Ian!